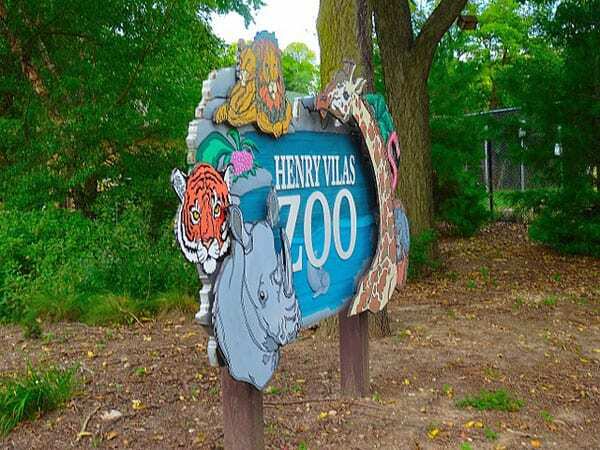 In yet another story of a split between a nonprofit and an organization acting in support of it, the Henry Vilas Zoological Society in Madison appears to be breaking up with the county-owned and operated Henry Vilas Zoo. The zoo in Dane County, Wisconsin, is on land owned by the county that was donated in 1904 by William and Anna Vilas to provide a public park in honor of their young son who died from diabetes complications. The donor intent for this gift was to provide a place for pleasure that would remain free to the public. The zoo opened in 1911. The Henry Vilas Zoological Society (HVZS) began as the Madison Zoological and Aquarium Society in 1914, and subsequently reorganized in 1926 under the current name. In the current contract, which expires March 31st, the HVZS is to provide financial support; operate the concessions, the carousel and other attractions; coordinate volunteers; and help with educational programs. The HVZS claims that new conditions would diminish their ability to raise funds. Dane County claims that the zoo will lose its accreditation from the Association of Zoos and Aquariums if the HVZS’s contract requirements are met, since accreditation does not allow for support organizations to control operations. Dane County’s proposal, according to HVZS, includes changes in organization and procedures, along with moving the existing HVZS offices and staff off the zoo grounds. The county would also coordinate the volunteers and run the income-producing concessions. The proposal does expect that the financial support from HVZS would be reduced. The HVZS has raised $6 million, which includes funds committed to an endowment, and has a budget of $3 million. Parisi claims that the HVZS has 68 employees of its own, more staff than the zoo uses to run the facility. The society paid QTI Group, a staffing firm, $922,147 in 2017 to fund employees’ salaries, benefits and other employment costs. Parisi, in his memo, questioned why the society would hire an outside group. Amy Supple, vice chairwoman of the society’s board, said the organization hired a staffing firm to lower costs. QTI operates human resources and payroll needs for the society’s 13 full-time staff members and about 50 part-time employees for less than it would have cost the society to hire its own human resources and payroll managers. But what is the ethical point here in the search for transparency—no staff reported to the IRS but paying for over 60 employees. Is that working in good faith? What’s more, charges of misconduct have been added to this mess. HVZS staff have filed complaints with the Dane County Human Resources that the zoo director, Ronda Schwetz, and a researcher made comments that were demeaning and sexually explicit, according to letters sent by Tom Hanson. The allegations included a vulgar term and a charge of excess drinking during the conferences. Clearly, transparency is lacking here. As a funder, an organization that raises dollars and grants them out, should HVZS have authority in running the county’s zoo? The county’s deputy corporation counsel, Carlos Pabellon, has stated that after an internal investigation, the charges against the zoo director “were not substantiated.” They are still investigating the unnamed researcher, who is not an employee of the zoo.